Jessie McGlenn Causway, 94, passed away Friday, March 22, 2019, at Vidant Edgecombe Hospital, Tarboro. Jessie was the former owner of Farmer’s Gas Company. He fought in WWII at Guadalcanal and Okinawa as a Marine. In his younger days he enjoyed hunting with his brothers. He was a long time member of the American Motorcycle Association and the Rocky Mount Motorcycle Club. He officiated dirt track motorcycle racing for the Rocky Mount Motorcycle Club. 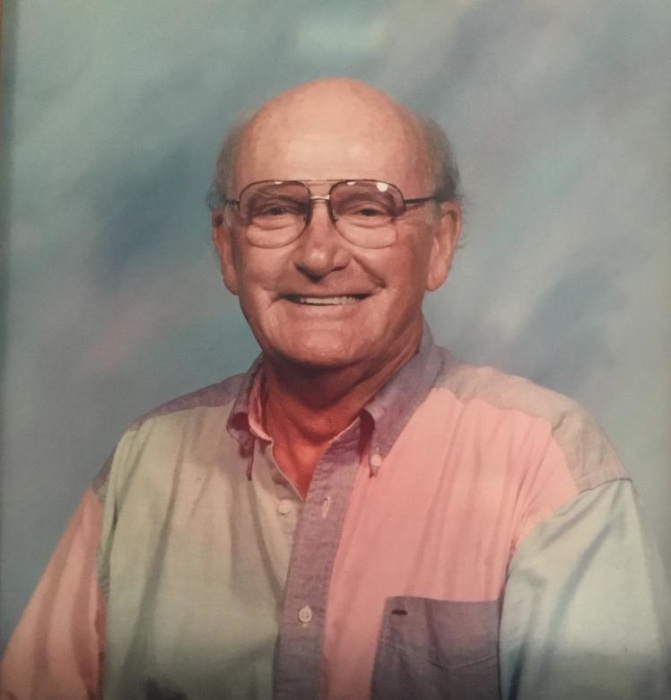 He was a Lifetime member of the Moose Lodge and was a member of the Tarboro Church of Christ. Glenn is survived by his Son – Glenn Causway (Cathy) Wilson, Daughters – Sandra Causway Ptak (Alan) Sherwood Forest, Maryland, Mary Lou Causway, Olney, Maryland. Grandchildren – Carey Causway Lundberg, Christina Causway Shemenski, Blair Barnhill Jarrell, Great-Grandchildren – Camdyn Shemenski, Hawkins Lundberg, Hank Lundberg, Henley Lundberg, Cayden Jarrell, Brother – Stanley Causway (Peggy) Pinetops, Sister – Aldine Lewis (Johnny) Edenton. A Celebration of Glenn's life will be held Wednesday March 27, 2019 at 2:00 pm at Carlisle Funeral Home, Tarboro with Minister Dolan Baker officiating. The family will have visitation from 1:00-2:00 pm at the Carlisle Funeral Home. He will be interred at Edgecombe Memorial Park, Tarboro with a military tribute following the service.